HomeCinemaMasalaVarun Dhawan and Anushka Sharma to give 40 days for Sui Dhaaga – Made In India promotions! 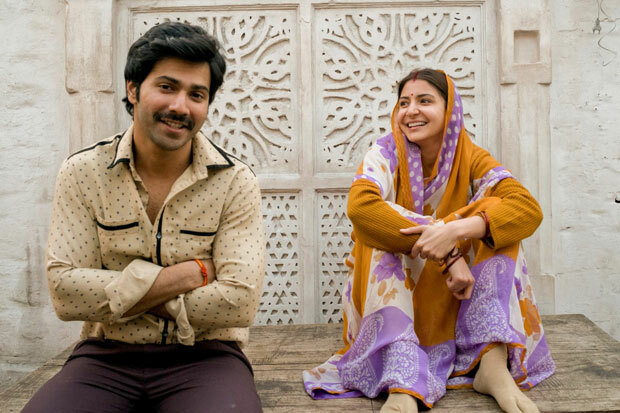 Varun Dhawan and Anushka Sharma to give 40 days for Sui Dhaaga – Made In India promotions! Varun Dhawan and Anushka Sharma are India’s most in demand and busiest movie stars but they are ensuring they would go all out for the promotions of Sui Dhaaga – Made In India. A relevant film that talks about finding respect through self-reliance is a universal subject that impacts every youth of the country and both the superstars who are also thought leaders in their own right, want to take the thought of this special film to as many people as possible. They have directed their teams to they want Sui Dhaaga to get maximum visibility and reach and that their calendar should be wiped clear for this purpose. A film about finding love and respect through self-reliance, Varun and Anushka starrer Sui Dhaaga – Made in India is a heart-warming story that celebrates the spirit of self-reliance. The film’s plot is inspired Mahatma Gandhi’s philosophy and takes inspiration from the hugely acclaimed Make In India campaign. While Varun plays the role of a tailor, Anushka plays an embroiderer in the film. Both champion actors, Varun Dhawan and Anushka Sharma have been paired for the first time and are definitely the most-awaited on-screen jodis of 2018. The National Award-winning, dream-team of director Sharat Kataria and producer Maneesh Sharma seem to have taken the bar of perfectionism several notches higher with the looks they have crafted for their leading actors. Yash Raj Films’ entertainer Sui Dhaaga – Made in India is set to release on September 28 this year, just before Gandhi Jayanti.